David Liebman was born in Brooklyn, New York on September 4, 1946. He began classical piano lessons at the age of nine and saxophone by twelve. His interest in jazz was sparked by seeing John Coltrane perform live in New York City clubs such as Birdland, the Village Vanguard and the Half Note. 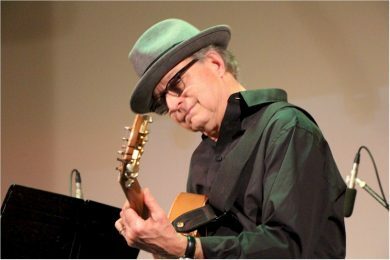 Throughout high school and college, Liebman pursued his jazz interest by studying with Joe Allard, Lennie Tristano and Charles Lloyd. Upon graduation from New York University (with a degree in American History), he began to seriously devote himself to the full time pursuit of being a jazz artist. In the early 1970s, Liebman took the leading role (as President) in organizing several dozen musicians into a cooperative, Free Life Communication which became an integral part of the fertile New York “loft” jazz scene in the early 1970s and was funded by The New York State Council of the Arts and the Space for Innovative Development. After one year spent with Ten Wheel Drive, one of the early jazz fusion groups, Liebman secured the saxophone/flute position with the group of John Coltrane’s drummer, Elvin Jones. Within two years, Liebman reached the zenith of his apprenticeship period when Miles Davis hired him. These years, 1970-74, were filled with tours, recordings and the incredible experience gained by being on the band stand with two masters of jazz. At the same time, Liebman began exploring his own music-first in the Open Sky Trio with Bob Moses and then with pianist Richie Beirach in the group Lookout Farm. This group recorded for the German based ECM label as well as A&M Records while touring the U.S., Canada, India, Japan and Europe. Lookout Farm was awarded the number one position in the category “Group Deserving of Wider Recognition”in the 1976 Downbeat Magazine’s International Critics’ Poll. In 1977, Liebman did a world tour with pianist Chick Corea followed up the next year by the formation of the David Liebman Quintet with John Scofield, Kenny Kirkland and Terumasa Hino as featured sidemen. After several world tours and recordings by the quintet over three years, he reunited with Richard Beirach. They began performing and recording as a duo, as well as creating the group Quest in 1981. Beginning with bassist George Mraz and drummer Al Foster, the group solidified when Ron McClure and Billy Hart joined in 1984. Through 1991, Quest recorded seven CDs, toured extensively and did many workshops with students worldwide. 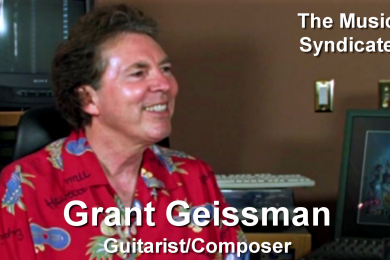 Liebman’s present group formed in 1991 includes guitarist Vic Juris, bassist Tony Marino and drummer Marko Marcinko. 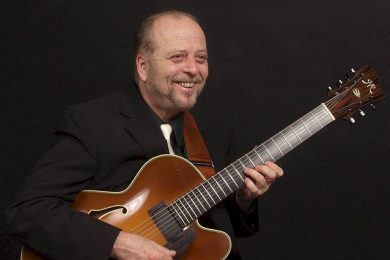 With these musicians he has pursued an eclectic direction in recording projects that has ranged from jazz standards to Puccini arias, original adaptations from the John Coltrane and Miles Davis repertoires, original compositions in styles ranging from world music to fusion, always maintaining a repertoire that balances the past, present and future. Over the past several decades, Liebman has often been featured with top European musicians such as Joachim Kuhn, Daniel Humair, Paolo Fresu, Jon Christensen, Bobo Stenson and in the World View Trio with Austrian drummer Wolfgang Reisenger and French bassist Jean-Paul Celea. His reputation in Europe has led to big band and radio orchestra performances, such as with the WDR in Koln, Germany, the Metropole Orchestra of the Netherlands and the new music Klang Forum in Vienna, Austria playing music specially commissioned to feature Liebman’s unique soprano saxophone style. He has consistently placed among the top finalists in the Downbeat Critics’ Poll since 1973 in the Soprano Saxophone category. As of the present, David Liebman has been featured on nearly 300 recordings, of which he has been the leader and/or co-leader on nearly 100. 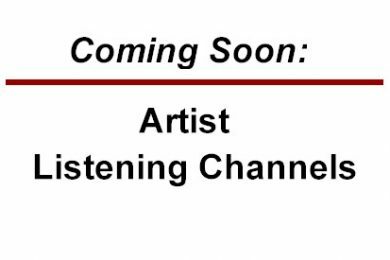 Well over 200 original compositions have been recorded. His artistic output has ranged from straight ahead classic jazz to chamber music; from fusion to avant garde. Liebman has published material on a variety of subjects;instructional DVDs, published chamber music and as well over the years he has contributed regularly to various periodicals such as the Saxophone Journal and the International Association of Jazz Educators Journal. He is the author of several milestone books: Self Portrait Of A Jazz Artist, A Chromatic Approach To Jazz Harmony And Melody, Developing A Personal Saxophone Sound and numerous others, several of which have been translated into other languages. His teaching activities at universities and in clinic settings have taken him literally around the world as a result of his varied musical directions and expertise on several instruments, along with an ability to articulate the intricacies of the jazz language, aesthetic and technique. Over the years, he has regularly received grantees to study with him funded by the NEA (U.S.), the Canadian Arts Council, as well as Arts Councils of numerous European countries. In 1989 he founded the International Association of Schools of Jazz (IASJ), an organization dedicated to networking educators and students from international jazz schools through periodic meetings, exchange programs and newsletters. Liebman presently serves as the Artistic Director of the IASJ. 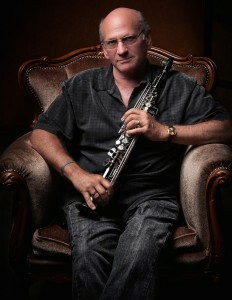 Liebman has received several distinguished awards including two NEA grants for composition and performance; an Honorary Doctorate from the Sibelius Acadamy of Helsinki; Finland; a Grammy nomination for Best Solo Performance in 1998; induction into the International Association of Jazz Educator’s Hall of Fame in 2000; Artist Grant from the Pennsylvania Council of the Arts in 2005. 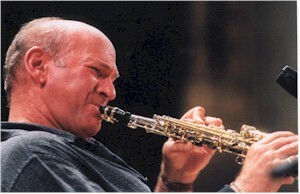 Liebman uses Superial tenor and soprano reeds, Keilwerth Saxophones, and AMT wireless microphones. Original compositions can be downloaded from SheetMusicNow.com, Big Band and small ensemble compositions from Walrus Music. 1997: Honorary Doctorate of Music from the Sibelius Academy in Helsinki, Finland; the first ever given to a jazz artist. 1998: Grammy nomination in the category of Best Jazz Solo for the recording of “My Favorite Things” from Thank You, John (Arkadia Records). 2000: Inducted into the Hall of Fame of the International Association of Jazz Educators for contributions to jazz pedagogy. 2001: Fred Waring Award from Celebration of the Arts, which organizes a yearly festival in the Pocono Mountains of Pennsylvania where Liebman resides for outstanding contributions to the arts and community. 2004: Grammy nomination for Jim McNeely arrangement of “Sing, Sing, Sing” from Beyond the Line recording by the David Liebman Big Band. 2005: Pennsylvania Council of the Arts Grant to individual artists. 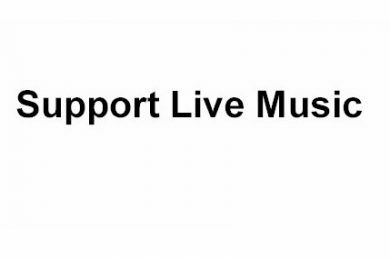 It may be of interest to the reader to see a short summary of how my musical life has proceeded from the standpoint of the groups I played with and their specific musical emphasis. Free Music, 1969-71: Beginning in the late 1960s I did most of my early playing in the New York City loft scene. The emphasis was upon collective, free form improvisation with groups of several horn players and drummers often blowing for hours with no preconceived forms, harmonic changes or pulse. The model was Coltrane’s recording “Ascension.” The main ingredient was high energy playing. Some of the participants of that time were Chick Corea, Dave Holland, Steve Grossman, Lenny White, Randy & Michael Brecker. Out of this period came my first organized music with drummer Bob Moses and various bassists, calling the group The Open Sky Trio as well as heading a musician’s collective, Free Life Communication. In this setting, we used intricate, highly intervallic melodies, both pulse and non pulse playing, ethnic sounds, and for the most part non-harmonic frameworks. We recorded two albums on the P.M. label titled “The Open Sky Trio” and “Spirit in the Sky”. Pete LaRoca / Elvin Jones 1969-72: Working with two master drummers in quartet settings playing song forms (standards and originals) meant going to school for the basics of playing time and changes. My main models here were Coltrane and Rollins. This was my “be-bop” period so to say. It was also a time of almost nightly playing with practicing and sessioning during the day. One of the most well known recordings from that period was “Live at the Lighthouse” with Elvin, part of the Elvin Jones Mosaic boxed set, “The Blue Note Years.” Pete LaRoca’s first recording in thirty years, “Swingtime,” featuring one of my original ballads, “Tomorrow’s Expectations” was released on Blue Note in August 1997 and on occasion I still play with his group. Miles Davis, 1973-74: Playing next to Miles itself was an experience outside the scope of this web site, but the main musical effect was primarily upon my sense of phrasing. Also, this period of Miles “On The Corner; Get Up With It” was heavily influenced by the rhythms of Sly Stone and James Brown. In a way, it harkened back to my earliest musical influence which was 1950s rock and roll. This time with Miles was also when I first used electronics and played primarily over vamp, riff-like backgrounds which remained in one key, allowing me to further explore the use of chromaticism in my own playing. To know more about my ex periences with Miles, check out “Miles Davis and David Liebman – Jazz Connections”; Edward Mellen Press (Available through Caris Music Services). In 1997, “Dark Magus”, which was a live recording from Carnegie Hall in 1974 was re-released on Sony Records, and in 2000 “Get Up With It” was released, both including my liner notes. Lookout Farm/Duo with Richard Beirach, 1974-76: My eclectic approach was personified in the first formal band I lead which played music from several idioms. I used all the tools from my background, which to this day remain the foundations of my concepts. At times, the addition of guitarist John Abercrombie and percussionists Badal Roy and Don Alias allowed for other influences to enter (Indian, Latin). Besides the day to day experience of leading a band, a strong and long relationship with pianist Richie Beirach was established which would have a lasting effect upon my harmonic concepts. The Ellis / Liebman Quintet, 1976-77: This short lived band located in the San Francisco area was an attempt to fuse funk with my style of playing. Pee Wee Ellis was a former James Brown sideman who had written several hits (Mother Popcorn, The Chicken, Cold Sweat) and played in a bluesy jazz style which was the opposite of my concept. The rhythm section was a funk, rhythm & blues unit which was the center-piece of the sound. This band has its roots in my stint with one of the first fusion bands in the early 70s, Ten Wheel Drive. The Dave Liebman Quintet, 1978-81: The instrumentation of myself on tenor, soprano and flute with guitarist John Scofield and trumpeter Terumasa Hino meant a further development of my writing in a more linear, contrapuntal fashion. The formats were wide ranging from eighth note to straight ahead jazz, chord changes and pedal point. Still available are two recordings: “Doin’ It Again” (Timeless/ Bellaphon), “If They Only Knew” (MCA-Impulse). Quest, 1982-91: (and continuation of duo with Richard Beirach): The classic quartet setting, in this case featuring the soprano focused heavily upon the harmonic relationship between myself and Richie as well as strong group interaction and extended improvisations. At first with bassist George Mraz and drummer Al Foster, the personnel settled in 1984 with Ron McLure and Billy Hart. This was a truly contemporary jazz group combining influences from the preceding decades into a recognizable sound. We recorded seven CDs and a play-along. The David Liebman Group, 1991-present: This group is the best mixture so far of all the styles I like to play and write, ranging from ethnic to fusion and electric to acoustic instruments. The compositions used in the first period of the band, with keyboardist Phil Markowitz present, were highly structured with the emphasis upon rhythmic devices more than harmony as in past groups of mine. As the group changed to its present quartet format since 1997, the music has become more free and open. For more information see the Group Web Page. What should be apparent is the strong belief that I have in holding a formed group together. With all these groups, the sidemen have stayed almost constant for at least several years at a time. There is nothing more powerful than having a steady group perform and record artistic music that they believe in and know. It gives me as a player and composer something I can count on which propels the music to a higher level than would be the case in most pick-up situations. If you see only one jazz legend teach a master class this year, make it saxophonist David Liebman. As a veteran of bands led by greats like Wayne Shorter, Elvin Jones and the high priest himself, Miles Davis, Mr. Liebman’s classroom leadership thrives on decades of experience. Sure, his scroll of instrumental credentials rivals the length of the Torah itself, but the “Rabbi of Jazz” (as his friends affectionately refer to him) has an equally riveting talent with words. Think of him a stand-up philosopher, enthusiastically expounding on his musical insights with the lively mannerisms of a natural entertainer. Quite simply, you won’t find a better teacher than David Liebman. Come for the information. Stay for the inspiration. The second half of the session concentrated on the most essential foundations of musicianship. Mr. Liebman, who has earned a coveted induction into the International Association of Jazz Educators Hall Of Fame, vivaciously explored various techniques of ear training and rhythmic development. As a true educator should, he came prepared and reinforced his well-formed philosophies with musical demonstrations and audience participation. “No one is born with the ability to swing.” After assigning a volunteer drummer the role of “human metronome,” Liebman played soprano sax, articulating behind, in front of, and right on the beat. This very simple example helped to visualize his assertion that “we should be able to draw a picture of the beat,” thus charting, at any given moment, where each of an ensemble’s instrumentalists place their notes in rhythmic relation to the others. As a teacher, David Liebman’s most vital message channels from his belief that developing musicians “practice by imitating.” The process of transcribing music lies central to this philosophy. For Liebman, a transcription isn’t finished just because all the notes are on paper. It’s not over just because you can do a complete harmonic, melodic and rhythmic analysis. You must be able sing the music and play it on your main instrument, fitting the transcribed subject PRECISELY. Then, and only then, when you have absorbed the rhythmic articulations and the dynamic nuances captured on the original recording, are you fully reaping the benefits of such meticulous ear training. Now you’re feel training. *Special appreciation goes to Jeff Richman, Mike Shapiro and Andrew Campbell for bringing Dave into the LA Music Academy fold.